Astral Refuge strengthens the connection between the physical body and the astral body. It enhances the energy connection between these two bodies and promotes flow on all levels. 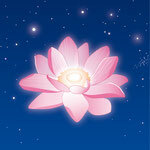 Astral Refuge helps to become more aware of the astral body. It awakens the memory that you are an energetic being and not limited to your physical form. It eases travel through the astral levels and helps you to completely return after astral journeys. 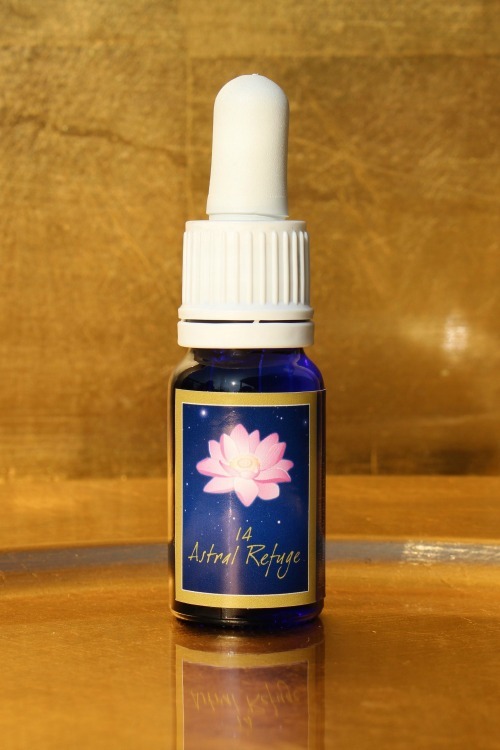 Astral Refuge lets you experience your energy presence in your astral body. It illuminates the astral body. It helps you to be fully centred. It strengthens your energetic power field. 1. Lead the essence with about 2-3cm distance from your body from your lotus chakra downwards all the way along your body and place it between your feet. Lead the essence clockwise around your body on each chakra level, starting at the base chakra. Apply one drop under your feet, on both knees, on your hips, on your shoulders, on your temples and on your heart chakra. Apply one drop on your index finger and apply it on the back of your neck on the neck vertebrae from bottom to top. Apply one drop on the front of your throat chakra. Take one drop under the tongue.